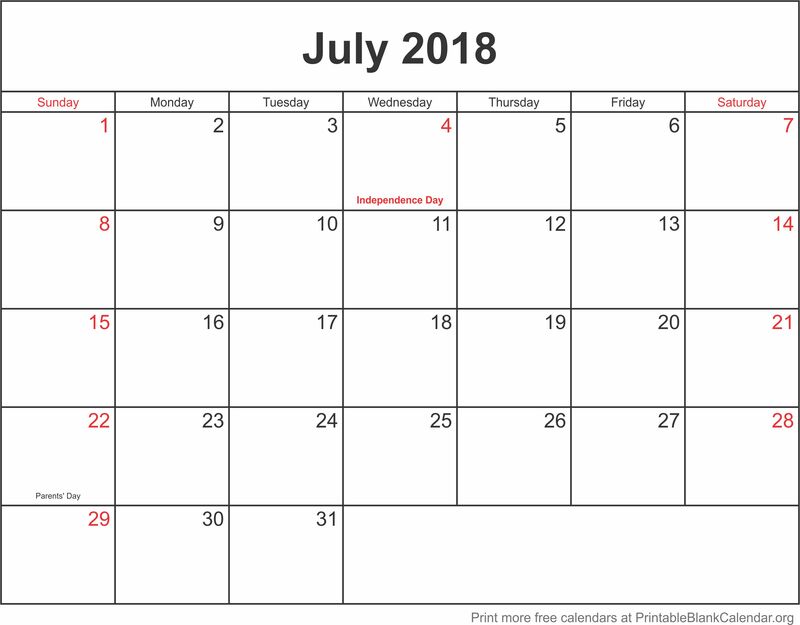 Celebrate your independence from expensive calendars with your free printable July 2018 calendar templates. No login. No account. No cost. Now our calendars are also available in UK/Europe versions with weeks starting on Monday, as well as US versions starting on Sunday. Be sure to get your 2018 annual calendar templates while you are here (check the menu on the left) Our calendars are now available in color but are designed to print beautifully in black and white or greyscale too. We make it all easy: Just click on your favorite calendar template design to go its own page. Then click the image again to see the full-size file. When the large image is displayed, you can print or save right from your browser. Please help us keep this service free by sharing our site with your friends and co-workers. They’ll love you for it (you know how hard it is to get hassle-free printable calendars) and we’ll keep designing and posting beautiful, free convenient blank calendars. Please help us keep this site alive and free for everyone by sharing it with your friends and on your favorite social media sites.